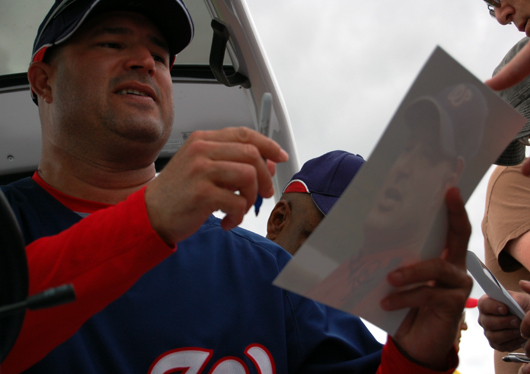 Washington Nationals manager Manny Acta, above, signs a photo of himself after a workout at the Carl Barger Baseball Complex in Viera, Fla. He gave several autographs to people who lined up next to his motorized cart, below. Attempting to cure my case of the lazies that has had me couch-ridden this week, I jumped off the leather piece of furniture and went to watch spring training workouts. I'm a huge baseball fan, and the stadium is only 10 minutes away, so I really didn't have an excuse. 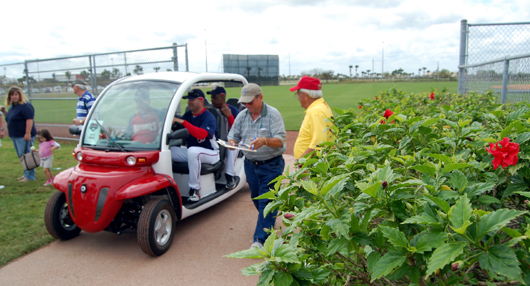 The Washington Nationals have their camp in Viera, which is an unincorporated part of Brevard County next to Melbourne. I'll always root for my original home team, the Boston Red Sox. But while I was living in Washington, I became a Nats convert, though they were never that good. Plus, they're in the National League, preventing much competition with the Sox. 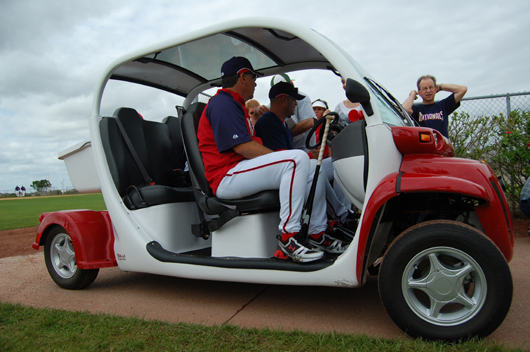 The coaching staff rides off the field in a cart. 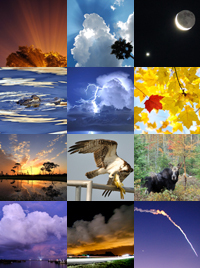 I just liked the continuity of the red colors in each third of this photo. I never had the chance to see a Major League game while I was growing up, so my first was when I saw the Nats face the Mets last year at RFK Stadium in D.C. The Nats lost, of course. Now that I'm in Florida with plenty of spare time and money to waste on tickets (uh huh), I plan to catch several spring training games and, in May, a regular season contest between the Tampa Bay Rays and the Sox. That will be a three-hour drive. Also, in March, I'm going about an hour south to Vero Beach to watch three spring training games at Dodgertown, the Los Angeles camp that will be closed after this year. The first of the three will be against the Sox. Can't wait. The batting cages were quite dark, but even if they weren't, I wouldn't be able to tell who anyone is in this photo. Sorry. 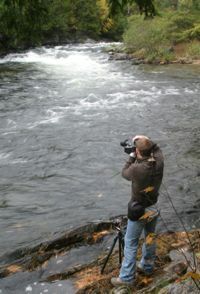 Today, I only got my feet wet. The pitchers and catchers have been tossing the ball and practicing their swings all week. Tomorrow, the rest of the team arrives. And that will be especially fun because I'll have a new lens for my camera, an 18-200mm Nikon. Finally, I have a telephoto lens. Pitching coach Randy St. Clair, right, gets a visual lesson as drawn into the warning track along the third base line of the practice field. I don't know who the instructor is. 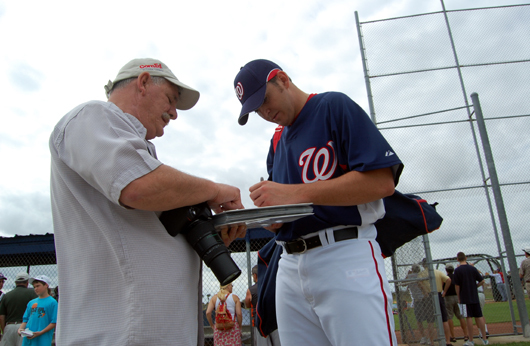 Pitcher John Lannan, who is younger than me (23) and is from Long Beach, N.Y., a nice beachside community on Long Island, signs an autograph for an old fan. There were more retirees than youngsters at the workout Thursday. Big surprise.